Los Altos Elementary students have been participating in Caribbean drum classes on Fridays at their school to explore music through various percussion instruments. Students attend their drum class once a week for six weeks. 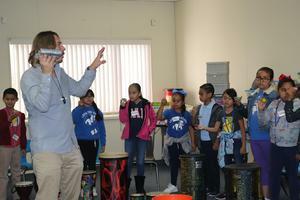 The program is called The Caribbean Drum Circle Music Enrichment Program and is taught by Joseph Peck. In each class students play a variety of percussion instruments, like the cowbell, shakers, drums, and steel drums. They learn to play and mimic rhythmic patterns, play with proper hand and stick technique, respond to start and stop cues, and students learn the basic rhythms of Caribbean music. The last class of the six week sessions will be an open studio, when parents will be invited to attend their class and be their audience to see what students have been learning. 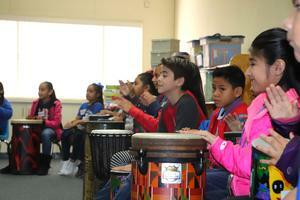 Los Altos was able to offer these classes through funding from LCFF funds. 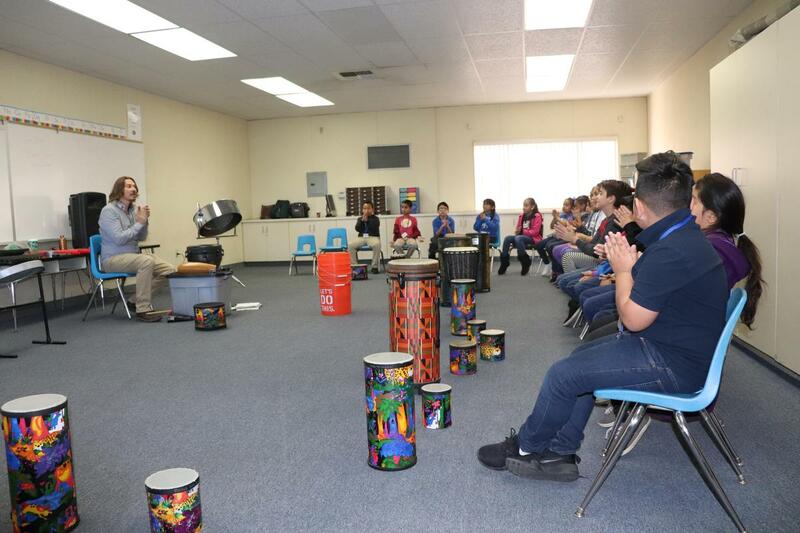 The School Site Council and parent groups asked for the school to offer more visual and performing arts during their LCAP, or local control and accountability plans, meetings. 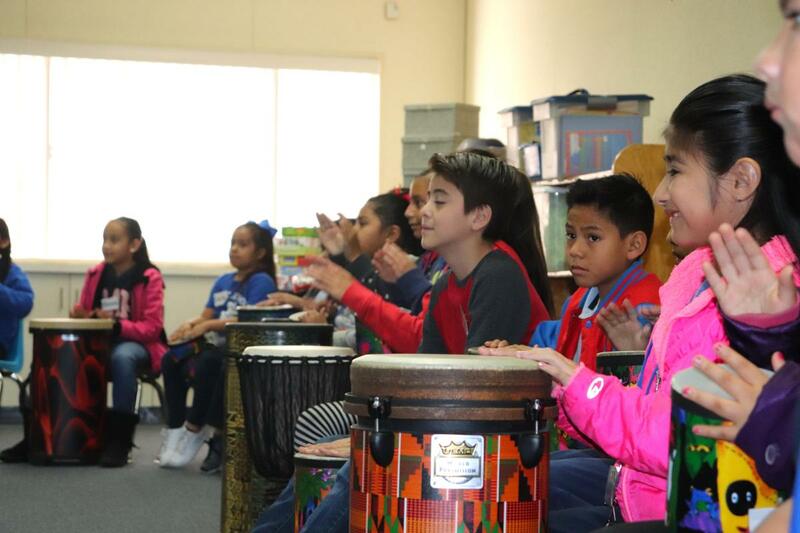 "Research shows that the arts have positive long-term impacts on college access, academic success, and civic involvement,” Los Altos principal, Genevieve Silebi, shared. 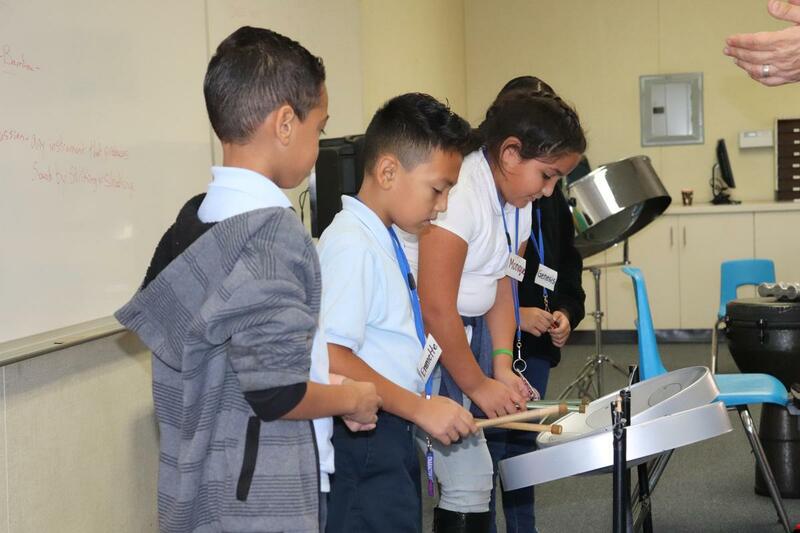 These classes are designed to provide students with skills to help them gain a greater sense of musicality, confidence, focus, and the ability to play collectively as a team with one another.